Are you captivated by modern architecture, open spaces and spacious design, where even the bathroom offers an uninterrupted view over the city's rooftops? This kind of lifestyle is particularly well-suited to a penthouse or loft apartment – in this dream, the bathroom is just a few steps away from the terrace and the pool. Exclusive accessories enhance the urban ambience and set stylish accents. 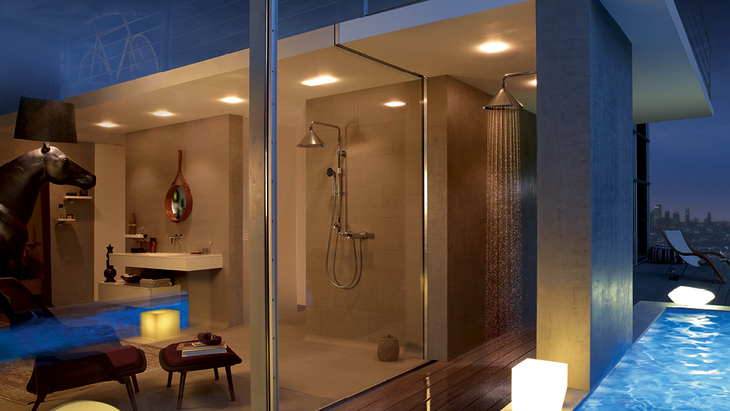 Whether you are dreaming of a private spa with a sauna or an outdoor shower beside the pool, Axor ShowerProducts, created for Axor by the designers from Front, will add an industrial charm to the bathroom in your modern loft apartment. 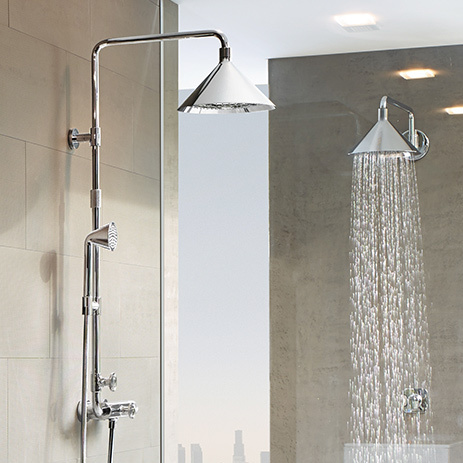 To Axor ShowerProducts designed by Front and matching products.